It`s about to happen again! 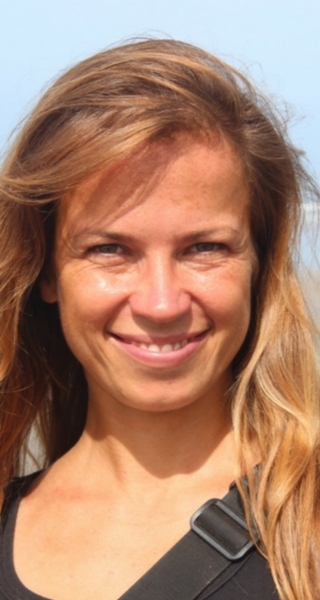 In the second half of November, we will welcome our fourth digital nomad trainer: Silvia Puchovska. A job that’s fun and allows you to travel the world! Countless people dream of it, but Silvia, our globetrotter from Slovakia, lives it. She successfully provides online services to small and medium businesses and likes to spend her afternoons at beautiful beaches with a surfboard. I will not tell you more about Silvia though. Read our interview with the surfer of Bratislava who has already visited more than 40 countries! I wanted to explore this planet, to travel to new destinations, and to see the world through my own eyes. Traveling was always my favourite hobby and the concept of a four-week long vacation per year was not appealing to me. I went on a career break three years ago and have since spent three months in Berlin and seven months in South America. My life has changed since then and I decided to try the concept of freelancing and working online only. Nomadic life means a lot to me because it provides me with a source of new experience, inspiration and allows me to meet interesting people from all around the world. Thanks to my pursuit of the digital nomad lifestyle, I started my own company and it’s a totally new chapter of my life that’s both exciting and challenging. Most importantly, I am able pursue another passion of my life and that’s surfing. I have an inbound marketing studio for small and medium entrepreneurs who need help either when starting their companies, re-launching their brand, or launching their products or services. The services offered by Studio Inbound are marketing analysis, content marketing, blogging, social media marketing and email marketing. The company also offers solutions from consultancy, through project management to virtual assistance. It really depends on my location and on my inclination to make more money. I spent the first 6 months of this year on a beach in Mexico and El Salvador. It was a surf trip and the goal was to learn to surf. During that period, I worked approximately 20 hours per week – 15 hours of that was dedicated to my clients, while 5 hours were dedicated to the development of my travel/lifestyle blog. Currently, I am in the phase of a new business development so I am working much more than usual. Right now, I would say that I work 40-50 hours a week and I write a lot. I would like to launch an ebook soon, but I also realized that it’s better to focus at one thing at the time and finish it, rather than jump from one idea to another. The best tool is your mindset. If you want it, you can do it. Ask questions and study the tips and experience of others who have done the same. Learn from their mistakes, but don’t be afraid to make your own as well. One of the biggest downsides of the digital nomad lifestyle is productivity. I saw much improvement in how I progress with my work since I started tracking the time of every task I do via Toggl. Other great tools to use are Google Drive, for storing your documents, or a project management tool called Trello. The last tip is to rent a co-working space, and to meet and work with like-minded people. Be clear about your motivation and the goals you want to achieve. If you want to work online, to learn surfing and travel a lot, you won’t be able to work many hours and that can affect your income. If you want to start a new business and grow it, it won’t be easy in the beginning and it will mean that you will have to work many hours – even in a beautiful location like Bali. My home base is in Bratislava. I spend approximately 3 months per year there and I travel the rest. I used to travel very fast because I was hungry to see it all, but now I travel more slowly. I like to spend at least 3 months in one location. I don’t miss the wardrobe and I don’t think I miss having an established home, although this is a very hypothetical question. I feel at home in Bratislava and I try to keep in touch with my family and friends as much as I can via Skype or Facebook. When I’m homesick, I come home and reconnect with the place and my friends. My parents are ok with my chosen lifestyle; they are supportive and I am very grateful for that. Maybe 🙂 I think that I am a person who is used to changes in life and changes of a place of work. I can’t imagine staying in one place for the rest of my life. What I know though is that I won’t be backpacking the world for the rest of my life. I would like to have 2 or 3 places where I feel at home and live alternately among them.